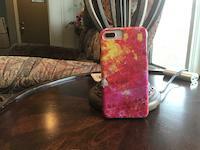 1788 Richard Greene's Museum At Lichfield iphone x case by Paul D Stewart. Protect your iPhone X with an impact-resistant, slim-profile, hard-shell case. The image is printed directly onto the case and wrapped around the edges for a beautiful presentation. Simply snap the case onto your iPhone X for instant protection and direct access to all of the phone's features! There are no comments for 1788 Richard Greene's Museum At Lichfield. Click here to post the first comment. 1788 Copperplate engraving from the Gentleman's Magazine", 58 part II. 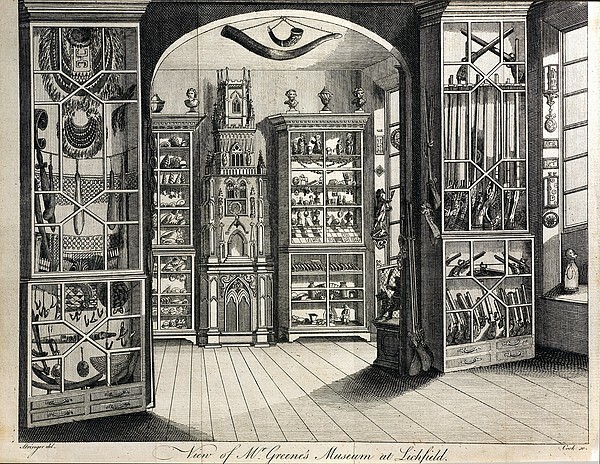 Mr. Greene's Museum, Lichfield Date 1748 - 1793 (c.) Description 'View of Mr. Greene's Museum at Lichfield, London.' Showing the displays inside cabinets in the Museum. 'Stringer del., (drawn); Cook, sc., (engraved).' (Either C. E. or E. Stringer). 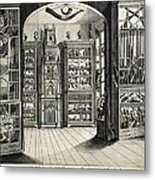 Richard Greene (1719-1793) was an apothecary who set up a museum at his house on the south side of Market Street, London. On his death, the collection was sold, and some was purchased by his grandson, Richard Wright, and displayed at 20 The Close, and later on Dam Street. Some items can still be seen at Lichfield Heritage Centre. The altar clock in the centre of this engraving can be seen at the Victoria Art Gallery, Bath. 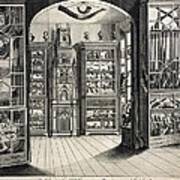 Such private museums verged on the Cabinets of curiosities and Kunstammer of previous generations."